When your water heater is functioning just like it should, you barely give it a thought. You turn on your sink, shower or washing machine and get on with life. When you turn on your faucet expecting hot water, and find it cold, it’s time to give us a call. Nothing is worse than needing hot water for your daily life and finding out that your water heater is broken. Give us a call, and one of our professional, highly trained and licensed Water Heater Repair in Chandler, AZ team members would be glad to come to your house for a same day consultation. 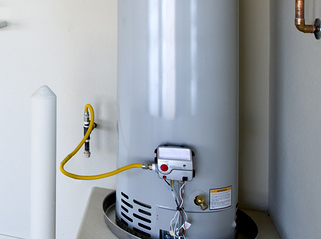 We’ll let you know if you need to repair your water heater or if it needs to be replaced. Most minor repairs we can complete on site that same day to get your water back to being heated dependably and reliably so you can get back to your busy schedule. If your water heater cannot be repaired during the consultation we’ll come back as soon as possible with the parts needed so that your water heater is functioning and heating water once again. We’ll also let you know if the cost to repair the heater is more than it would take to install a new heater. We know that you work hard for your money and so do we! If you do end up being in need of a brand new heater, we can help you choose the correct one to meet your specific needs and we’ll order and install it for you. Water heaters are wonderful things when they’re running like they should. When they aren’t, give us a call. Our quality of service and our years of experience make us an excellent choice to take care of your Water Heater Repair in Chandler, AZ.